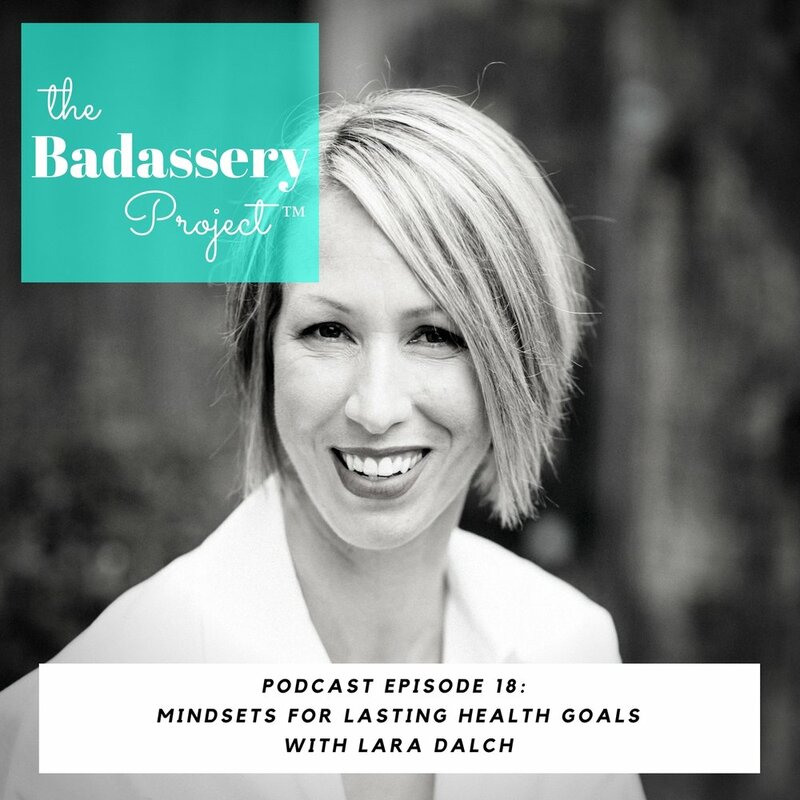 EP 18: Mindsets for Lasting Health Goals with Lara Dalch — Sarah Schneider & Co. Most people's new year's resolutions include a health goal. More often than not though, health goals that come out of new year's resolutions don't last. There is a start and stop roller coaster that can be defeating. In this episode, Sarah is joined by Lara Dalch, a health and lifestyle coach who helps women go from "formerly active" to confident, healthy, and powerful again. As a former entertainment marketing executive and busy entrepreneur, Lara understands the challenges of balancing good health with a busy schedule and is passionate about helping women harness the power of good health to fuel their lives through a realistic, “whole life” approach to health. Lara is a regular contributor to popular health and wellness website MindBodyGreen. She holds a B.A. in Psychology from the University of Virginia, is a Certified Pilates Instructor and received her training to practice health coaching via the State University of New York and the Institute for Integrative Nutrition. Sarah and Lara discuss mindsets that can support lasting health goals and share stories about their own ups and downs around health. Define what health means to you. New Year's resolutions are not health they are short-term solutions. Take a look at why you care in the first place - why do you want to be strong? Keep digging into the why until it resonates as what the real reason is for you. Health goals change overtime, they are a moving target, be willing to allow the goals to evolve. Answer the question - what experience of life will this goal provide you? We often relate to our health the same way we think about saving money for retirement - we'll do it eventually. Run experiments on what works for your health, notice where it works better for you. What is your biological primetime? Focus on the mindset shift of your health so that it becomes a lifestyle shift. High-performing women will start with a grand plan which does not always set you up to win. Creating a mindset shift can start with something small - like eating leafy greens once a day. Willpower is a finite resource, depending on that alone sets you up to fail. Deprivation doesn't work long term, stock your pantry with things you feel good about eating. Be intentional with what you are eating. Pay attention to how your body feels when you are eating the food you choose. Just because you've hit a bump in your health goals, doesn't mean it was all a waste and you have to quite or start all over. Go back to your why for your health and choose to work your way back. Recognize that you are human and you will have better weeks than others when it comes to your health. Is sitting the new smoking? Sitting can be a real problem. Most of us sit much more than is healthy for us. You can be mindful in how much you are sitting and can get up, walk around, dance, etc. Do what you can in the framework you have. Lara shares how she made the transition from entertainment marketing to a health and lifestyle coach. Self-compassion is a huge component of long-term success. Get Your Leadership On Seattle event referenced at end of episode. Prefer to listen on iTunes or the Podcast app? We've got you covered. Prefer Stitcher? You can find the show there too! Copyright 2019 © Sarah Schneider & Co, LLC.